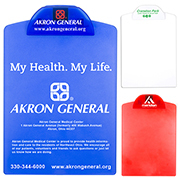 Branded clipboards are great as promotional items because they offer so much space for a logo. 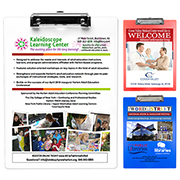 The options vary from clipboards with imprintable or metal clips, and your choice between spot color or the four-color process. 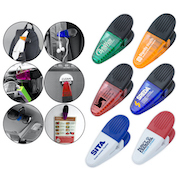 These items are ideal as a giveaway or corporate gift for every occasion. 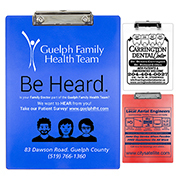 Branding these promo clipboards can be through spot color, four-color, or our very own PhotoImage imprint. 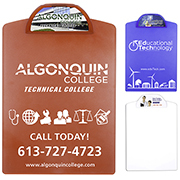 Corporate logos can be printed on the front and back of the board and the plastic clip as well. 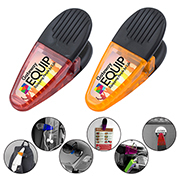 There is a one-time setup charge but our price already includes a one color imprint on the clip. For branded clipboards and many other ideas for promotional items, Innovation Line is the tried and tested specialist. 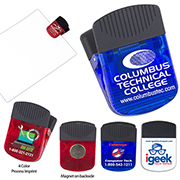 We have been around for three decades continuously offering high quality merchandising products.